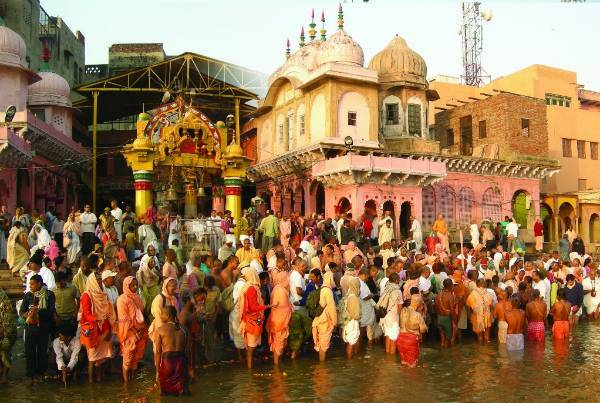 Doing Parikrama around Vrindavan or Vraj Mandal, or around Govardhan or every temple is a sacred tradition of showing respect. Normally circumbuambulation are made 3 times. In Vrindavan some people do Parikrama daily, also in Govardhana, is very amazing and very important this Parikrama to the hindu tradition. And there is also the Dandavat Parikrama wich is the same Parikrama rute by bowing down to the ground sixty times, ou hundred times – sometimes this can take a year to cover the distance!